Virtual reality is becoming a bigger part of our daily lives. Below is a partial list of of VR businesses with which we can help to find general liability, products liability, and property coverage. If your business includes providing a virtual reality service for your clients, whetheryou are a real estate agent or you have a space in a mall with chairs with speakers and virtual reality headset, we should be able to help. Ask about property insurance for your equipment, furniture, and other items. If you have property away from your primary location, make sure to let us know when requesting a quote. 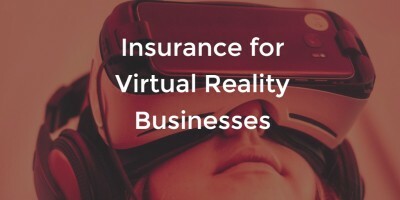 Complete the virtual reality business insurance quote request form to start on your quote today.